If you’re pondering whether to buy a Galaxy smartphone or an iPhone this holiday season, a part of the brain called the dorsomedial prefrontal cortex might ultimately determine your choice. Results of a new study suggest that this region of the brain plays a critical role in making choices. 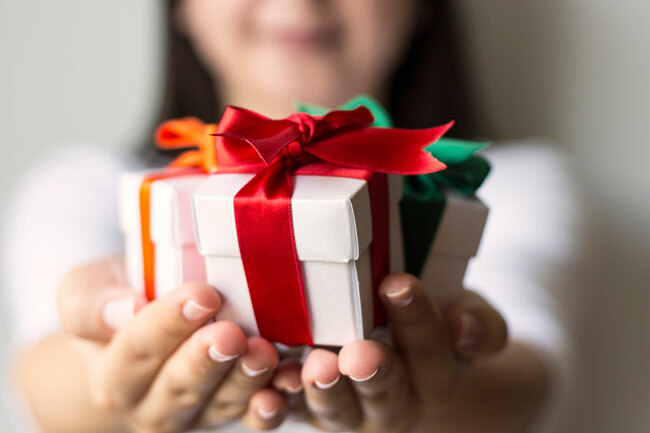 At this time of year, when you are debating which which gifts to buy for your friends and family, your dorsomedial prefrontal cortex is probably working overtime. If you’re pondering whether to buy a Galaxy smartphone or an iPhone this holiday season, a part of the brain called the dorsomedial prefrontal cortex (PFC) might ultimately determine your choice. Results of a new study by Avinash Vaidya and Dr. Lesley Fellows, researchers at the Montreal Neurological Institute and Hospital (The Neuro), suggest that this region of the brain plays a critical role in making choices. The study involved 60 participants, half of whom had suffered localized injury to the frontal lobes due to a stroke or tumour. Participants viewed hundreds of different pieces of art and rated their desire for each of them. This provided an estimate of the subjective value that each piece held. In a later test, the participants chose between pairs of these artworks. Participants were inclined to select the artwork that they examined longer even if in the earlier test they gave a higher value rating to the other object. Participants behaved as though the value of an option increased the longer it was observed. Participants with damage to a particular sector of the frontal lobe, the dorsomedial PFC, showed an exaggerated tendency to be drawn to the object at hand. The study shows that the dorsomedial PFC plays a critical role in mediating the balance between prior value assessment and an object’s immediate appeal. The significance of the dorsomedial PFC came as a surprise because of its relative neglect in the decision neuroscience literature. This research adds to studies showing that by manipulating the length of time that a viewer observes a product, the viewer’s value assessment can change without the viewer necessarily being aware of this effect.